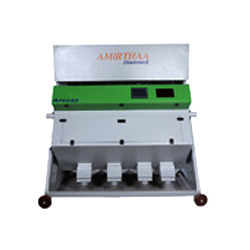 We are among the most trustworthy names in the industry engaged in manufacturing, supplying and exporting of wide range of Udanth Dal Sorting Machine. These machines are made with finest quality raw material making them durable and resistant of corrosion. We are offering these products are market leading rates. Backed by a team of dexterous professionals, we are engaged in providing a quality approved Moong Dal Sorting Machine. Our adroit experts manufacture this sorting machine using the best quality components and innovative technology in line with industry standards. 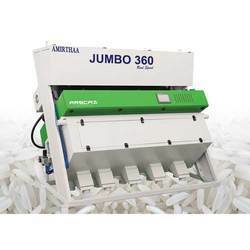 Available in various sizes, designs and specifications, this sorting machine is suitable for the cleaning section, or b1 section of a flour milling plant. In order to offer a qualitative product at users’ end, this sorting machine is sternly tested by our quality experts. We are engaged in the manufacture and export of Channa Dal Sorting Machine that are high in performance and low in maintenance and are precision engineered. Available in different models, they are acknowledged by our broad client base spread all across the globe. We endeavor to manufacture our range of pulses color sorter employing technologically advanced machines and keeping abreast of time. Further these Channa Dal Sorting Machine are availed in customized ranges and packaged as per the requirements of our clients. In order to attain the maximum satisfaction of our esteemed clients, we are engaged in manufacturing, trading, exporting, importing and supplying the finest quality Dal Color Sorting Machine. 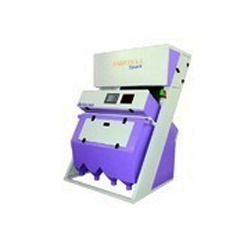 We ensure our customers that this sorting machine is designed in variegated sizes as per the clients' needs. It helps in sorting the mottled, burned, or diseased kernels, vetch and other foreign seeds to obtain spotless semolina and flour products. The offered sorting machine is manufactured using optimum quality components and sophisticated technology in line with industry norms. We are the most trusted name in the industry offering a wide assortment of Masoor Dal Sorting Machine. Our offered products are made with superior quality raw material for high durability and efficiency. They are recommended for the bother free execution and robust structure appropriate to carry out heavy duty performance Masoor Dal Sorting Machine undergo various tests under rigorous condition for quality assurance at our end. We are assisted by our truly skilled and seasoned professionals in manufacturing, trading, exporting, importing and supplying a precision-engineered range of Mustard Sorting Machine. 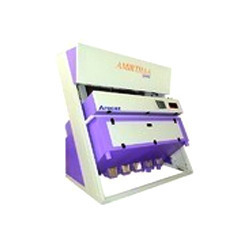 Used in different industries, offered sorting machine is manufactured by adroit experts using the best quality components and advanced technology. Our provided sorting machine is designed in various sizes, designs and specifications as per the demands of our clients. 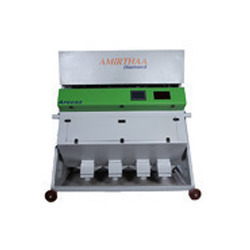 Apart from this, offered sorting machine is examined on various parameters by experts. We are the most trusted name in the industry offering a wide assortment of Toor Dal Sorting Machine. Our offered products are made with superior quality raw material for high durability and efficiency. They are recommended for the bother free execution and robust structure appropriate to carry out heavy duty performance. Toor Dal Sorting Machine undergo various tests under rigorous condition for quality assurance at our end. Looking for Dal Sorting Machine ?